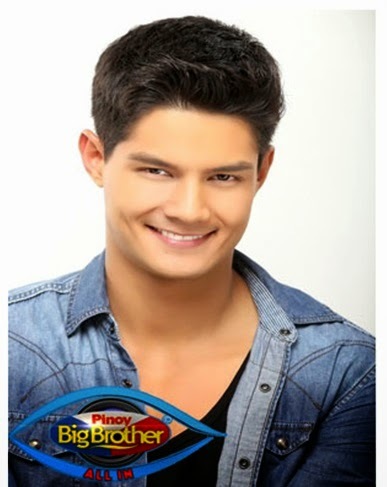 Manila, Philippines - Daniel Matsunaga dubbed as the 'Hunk of the World ng Makati' was 'fakely' evicted from the Pinoy Big Brother house after the nomination night of 'PBB All In' on Monday, August 4, 2014. Daniel, 25, was picked by the remaining housemates through majority vote of 4 points. Meanwhile, Joshua Garcia and Maris Racal got 1 point each. Other housemates saved from eviction who got zero point in the nomination were Loisa Andalio, Jane Oineza and Vickie Rushton. Daniel will join Manolo Pedrosa who was 'fakely' evicted in the "Harapang Eviction" on Sunday, in a separate room inside the Big Brother House. Aside from Manolo and Daniel, another housemate will be given a fake eviction on Tuesday. After the list of nominees were determined, they will undergo a challenge wherein one of them will be instantly saved and will return to the house. The remaining will be up for eviction. The new process of eviction on Monday dominated online conversations with '#PBBMondayPasabog', 'BeStrong LoisaAndalio', 'Why Daniel', 'Big 4' and 'Manolo' topped Twitter trending list.